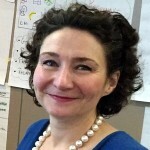 Helen has worked as Management Development Consultant/Coach for the past 14 years. She has extensive experience designing and delivering management programmes both in the private and public sectors, in the UK and internationally. Helen set up the first L & D team for House of Stirling, creating and delivering Management Development programmes for each level of Management within the business. Working internationally with FISU, she designed and delivered their first formal skills investment in their Senior Executives. She is also an experienced Executive Coach, specialising in helping Executives transition into more senior roles. For companies who are interested in taking their coaching investment further, she has also designed and delivered a number of programmes to train up internal organisational coaches. Her passion is for blending the best of business psychology with corporate practices, to build optimum performance. A Chartered member of the CIPD, she has an MA in Human Resource Management, and a first degree in Psychology and is a licensed practitioner of both the MBTI Step 1 & 2 and TMSDI diagnostic profiling tools.